It wasn’t long after men realized that transforming themselves into female-impersonating performers was an art form that the drag pageant also came into existence. Some of the United States’ longest running drag pageant events — Miss Gay America, Miss Continental, Miss Gay USofA — have existed for nearly five decades, each offering a unique perspective on the art and accomplishment of drag. Now, here comes Alaska — Drag Race Season 5 contestant and All Stars 2 champion — to reinvigorate the drag pageant category with a twist all his own. The first-ever “Drag Queen of the Year” pageant will take place in Los Angeles this May. This live competition, taking place at L.A.’s Montalbán Theatre the weekend of DragCon L.A., has quite the lofty goal: to find “the best drag performer in the whole wide world.” And to do so, Drag Queen of the Year can’t cut any corners or put restrictions on those competing — which means contestants will be more diverse and all-inclusive than any drag pageant to come before. Part of the reasoning for that inclusiveness is Alaska’s desire to shine a light on queens who aren’t represented in the current pageant system or in episodes of the hit reality series RuPaul’s Drag Race. “Judged upon the criteria of presence, energy, nuance, integrity and stunningness, this is a pageant for everyone,” reads a previously released statement. Open to all ages, this new drag pageant will also feature a raffle and auction component (featuring donated celebrity items) and lifetime achievement awards. It will also benefit a great cause, as Alaska tells us the L.A. LGBT Center will be receiving the night’s proceeds. It’s a local organization that’s close to this Angeleno transplant’s heart. And what could be more on-brand for this Drag Race Hall of Fame-r than ‘giving back’ to the community by producing a raucous, all-inclusive drag pageant, honoring the art form he’s so dedicated to? 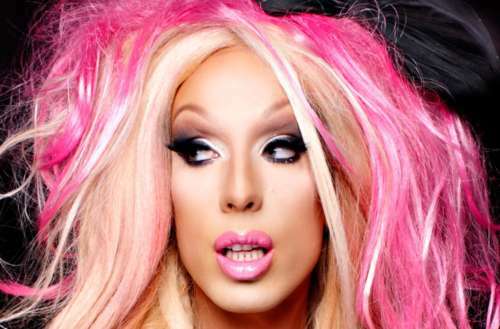 Alaska’s new drag pageant “Drag Queen of the Year” will take place May 26 in Los Angeles. Head here for more info and to purchase tickets.